Out of all the gold detectors on the market, I don’t think there is one single model that is as universally respected as the Fisher Gold Bug 2 . Even after two decades on the market, it is still used by thousands of prospectors around the world, and is still better at certain tasks than most of the brand new metal detectors out there. The Gold Bug 2 has one purpose and that is to find gold nuggets. Although it will find all types of gold, it is not a multi-purpose detector and will generally perform very poorly as a coin and relic detector. Where it really shines is its ability to detect small gold at shallow depths. Generally when metal detecting for gold we say that we are looking for gold nuggets, but really the Gold Bug 2 specializes not just in finding nuggets, but also flakes, “crumbs,” specks, etc. 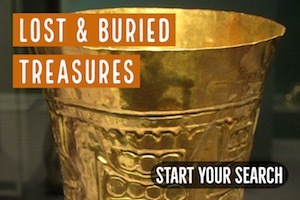 The sensitivity of this metal detector on small gold is simply unrivaled. Yeah, but who cares about finding small gold? Now I know what you are thinking… what’s the big deal about finding small gold? 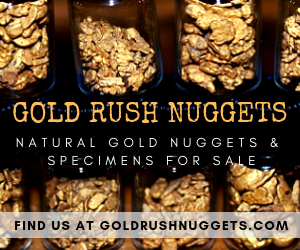 You want to find BIG gold nuggets, right? Sure, we all want to find those big gold nuggets, and I can assure you that the Gold Bug 2 has no problem detecting those bigger sized nuggets too. 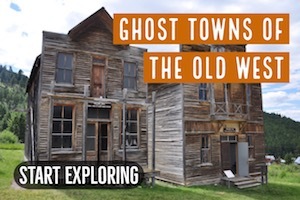 However, it is the smaller nuggets that can really be considered the “bread and butter” of what you will generally find in the goldfields. Most gold out there is small, even in mining areas that are exceptionally rich. You want to focus on those smaller pieces of gold. Trust me; if you put your coil over a larger nugget you will have no trouble hearing it. Here is an example of what I mean. I met with a friend of mine a while back who metal detects in the California Mother Lode, an area that has certainly produced many large nuggets throughout the years. He never sells his gold, so needless to say he has a very impressive collection. He primarily uses two metal detectors right now; a Minelab GPX4500 and a Fisher Gold Bug 2 . Now he had some nice gold in his collection, including some dandies that weighed several ounces each. I asked which detector had found him the most gold over the years, and without hesitation he told me it was his Gold Bug 2. This may seems surprising considering that his GPX4500 costs several thousand dollars and one might assume that it was far superior to the Gold Bug 2, but this is not the case. Each of these detectors has a different specialty. Yes the GPX4500 will undoubtedly punch deeper on gold nuggets, but it lacks sensitivity compared to the Gold Bug 2. 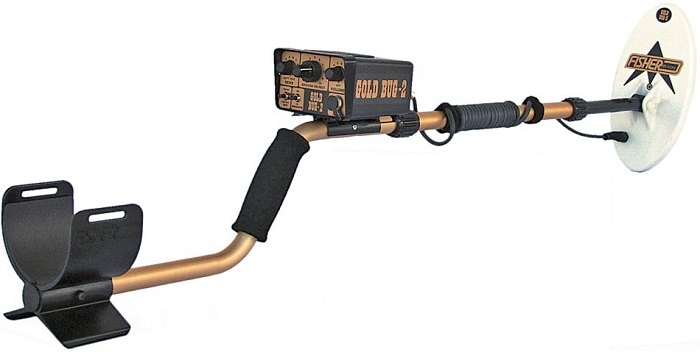 He uses the Gold Bug 2 to hunt shallow gullies and exposed bedrock areas, which are quite plentiful in his area. The nuggets here aren’t all that deep, usually just a couple inches at the most. Most of them are pretty small too, but there are lots of them. Those Small Nuggets Add Up! What I am trying to tell you is that in situations where small gold is plentiful, you can’t beat a sensitive detector like the Gold Bug 2. My friend’s collection of gold was impressive, but probably 80% of his nuggets were smaller than ½ gram in weight. Some of them were absolutely tiny crumbs that would hardly register on a scale. Some of them included little quartz specimens with tiny gold veins shooting through the quartz. It all adds up, and looking at a collection of gold that was accumulated over several years really proved that. Sure those pieces might only be worth a buck or two, but if you can find enough of them they are worth looking for. Now I have been comparing the Gold Bug 2 and a Minelab GPX5000 to explain that these are vastly different detectors that are best used in totally different situations. 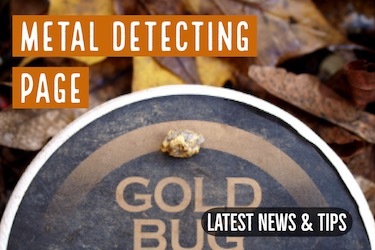 Most serious gold hunters have a few different types of detectors for the different situations that they encounter. What about all those other detectors that are supposed to be sensitive to small gold too? Yes, there are lots of detectors on the market that are good at finding small gold. 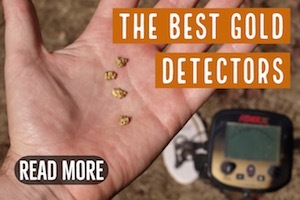 Now these are all good gold detectors, and I wouldn’t hesitate to recommend any of them. In fact for certain situations I think each of them could even potentially outperform the Gold Bug 2. The Gold Bug 2 runs “hot” at 71 kHz, which makes it so awesome on small gold, but sometimes it can be tough to operate in mineralized ground or in places that have a lot of hot rocks. In these situations a detector like the Gold Bug Pro or Garrett AT Gold might actually perform better due to the slightly lower sensitivity. 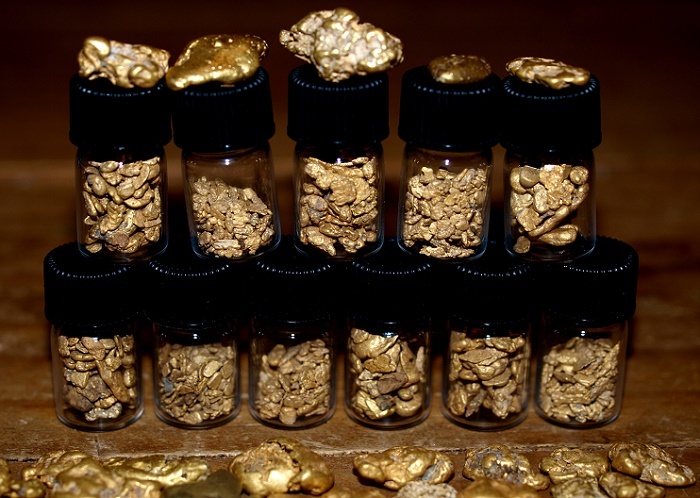 A nice collection of gold nuggets found with metal detectors. Most of the smaller nuggets in the glass vials were found with a Fisher Gold Bug 2. Their accumulated weight is several ounces valued at many thousands of dollars. Pretty much everyone I know who has a Fisher Gold Bug 2 uses it with the smaller 6.5″ elliptical coil . This is the hottest coil and it will find the smallest gold. There 10” elliptical coil is also good. It is slightly less sensitive but has almost twice the ground coverage so it’s still a decent choice. You can also get an aftermarket 14” coil, but very few people use this coil. Since the Gold Bug 2 operates at such a high frequency, the larger coil simply covers too much ground and in most situations it is too noisy to operate properly. If I could only use one coil on the Gold Bug 2, it would be the small 6.5” elliptical. The Fisher Gold Bug 2 was introduced in 1995, and you some might consider it to be old technology. The truth is that there haven’t been many advances in the past two decade when it comes to advancement of VLF technology. A lot of the new detectors have fancy LCD displays with more settings and adjustments, but they still aren’t as hot on small gold as the trusty Gold Bug 2 . 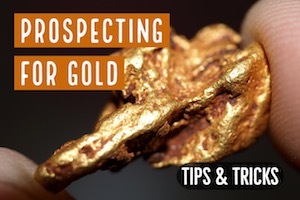 Most of the serious prospectors I know still own a Gold Bug 2, and they have no intention of getting rid of it or “upgrading” to another detector, because it simply can’t be beat for small gold. If you want the most sensitive gold detector on the market, this is the detector you are looking for.